Attack Angle is defined as the vertical (up-down) angle at which the club head is moving at impact. Positive means hitting up on the ball while negative means hitting down on the ball. If a golfer has a downward angle of attack, a golfer’s club path (the direction of the club at impact) will influence the club path in-to-out. Thus, a golfer that hits down on the ball must have an out-to-in swing direction in order to launch the ball straight. A golfer that hits up on the ball must have an in-to-out swing direction to launch the ball straight. The amount that a golfer must hit down on the ball depends on how vertical the golfer’s swing is. With a driver, golfers usually have a vertical swing plane of 45 degrees. For a +2 attack angle with the driver, the golfer needs a swing direction of +2 to launch the ball straight. At the 45-degree angle, there is a 1:1 ratio for angle of attack and swing direction. Due to the steeper, 60-degree vertical swing plane of irons, the ratio for angle of attack and swing direction is .57, or approximately 2:1. After spending the last four years of my life trying to make big divots when I needed spin, I finally understand that my best shots come from a shallow attack angle and maximum loft of the golf club. Many golfers incorrectly believe that they can generate more backspin by hitting down on the ball. However, TrackMan has shown us that hitting down on the ball does not necessarily impart more spin. Contrary to popular belief, the ball’s spin rate is primarily determined by spin loft, and club speed, while impact position and friction between the club and the ball also effect how the ball spins. Generally, a club with more loft creates more spin. Spin Loft is the numerical difference between the club’s loft at impact and the angle of attack. When the angle is greater, the spin increases. Likewise, when the angle is lessened, the spin decreases. If you hit down on the ball more, the ball will launch lower but maintain the same spin rate. Remember that you must maintain a shallow attack angle while preserving the golf club’s loft if you want the ball to spin and stop when it hits the green. For more golf tips on how to rip it back on the green, check out the Golf Channel's Michael Breed from the Golf Fix who provides further insight on the topic. 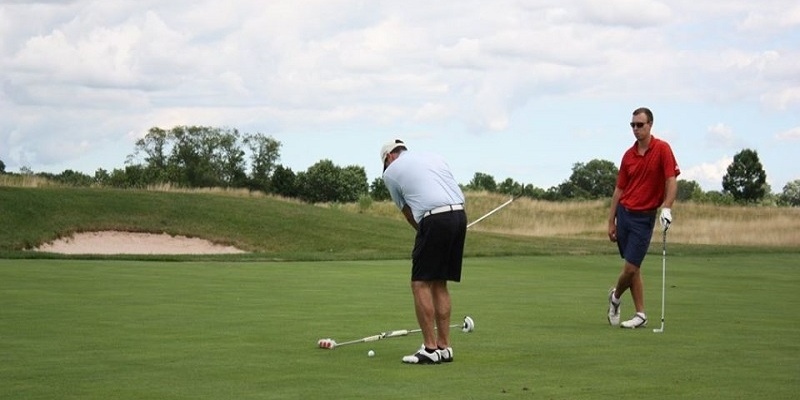 If you're ready to test out your improvement on the course, find tournaments near you.